Ceylon tea is a popular type of black tea that is also known as Sri Lankan tea. Served as an iced tea or nice and warm, it is a favorite beverage for many tea drinkers. While Ceylon is known for its bold flavor, you might be surprised to know that it can vary greatly in taste, depending on where it's grown in the country. Ceylon (say-lawn) tea is a tea from Sri Lanka, a nation which was formerly known as "Ceylon." Although some Sri Lankan producers are branching out in their offerings to include green tea and other tea types, most Ceylon teas are black teas. Ceylon leaves are often described as "wiry." This is because they are left long and thin with a wire-like look. In the world of tea, these leaves are very easy to recognize. What Does Ceylon Tea Taste Like? Sri Lanka is a small island, but it has an enormous range in elevation, so the flavors of the teas produced there vary greatly. This difference in flavor is influenced by climate, soil, precipitation, sun, and plant varietals, and it is known as terroir. It is used in wine as well as tea. Sri Lanka happens to be unique because of the immense variety available from such a small area. Despite the regional nuances, a "classic Ceylon flavor" is generally thought to be bold, full, and brisk. It has medium-to-full tannins and some notes of citrus, chocolate, or spice. Most Ceylon tea is orthodox tea, meaning it was processed by hand, making a brisk, bright tea. Eleven tea-growing regions are found in the country, the best-known are Uva, Nuwara Eliya, and Dimbulla. Uva is perhaps the most famous tea-growing region in Sri Lanka. It is located in central Sri Lanka, east of both Nuwara Eliya and Dambulla. The terroir of Uva produces black tea with a distinctively sweet flavor and exotic, woodsy aroma that can handle a bit of milk. Some white teas are also produced in Uva. Nuwara Eliya is the highest elevation tea-producing area in Sri Lanka. It is also located in the center of the island, west of Uva and north of Dambulla. Its terroir produces tea with a delicate, floral fragrance and light, brisk flavor. The high elevation teas of Nuwara Eliya are exceptional iced or served with lemon. Dambulla is a tea-growing region in central Sri Lanka. It is the southernmost of the three well-known regions. As a region of mountain slopes, the terroir ranges greatly with the elevation. Some teas are full-bodied, while others are delicate, but most are mellow in flavor. Other tea-growing regions in Sri Lanka include Badulla, Galle, Haputalle, Kandy, Maturata, Ratnapura, Ruhuna, and Uda Pussellawa. The diversity of Ceylon teas leads to a great variety in how you can enjoy it. This type of tea is the epitome of the term 'self-drinker,' which is used to describe teas (primarily black) that need no enhancements because they are perfect on their own. Ceylon teas are the most popular base for iced teas in the world. They also make one of the most pleasant hot teas you will find. As a milk tea to mellow the flavor and reduce any bitterness. Instead of milk, try Ceylon with a hint of lemon, particularly when served cold. Sugar or honey can be used as a mild sweetener. 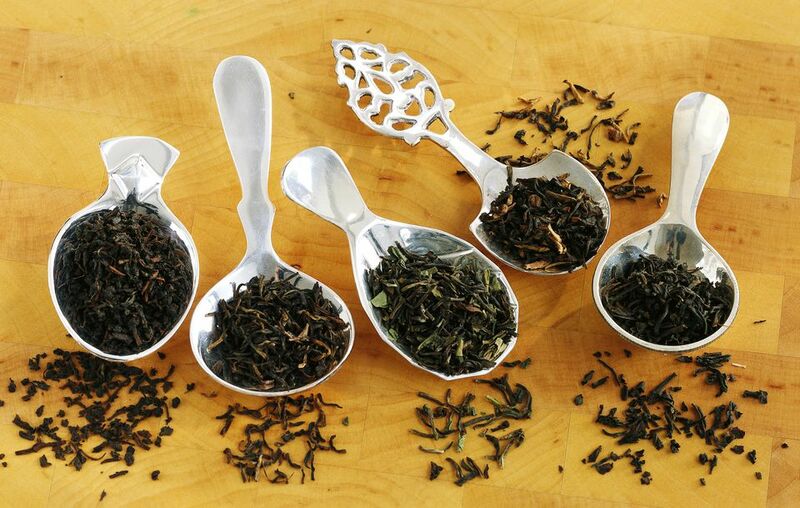 Ceylon tea is an excellent choice for any drink recipe that calls for a generic 'black tea.' The Thai Iced Tea is a perfect example.